Established in 1999 Himtimes.com is very first online news portal broadcast from Shimla, Himachal Pradesh. Late. 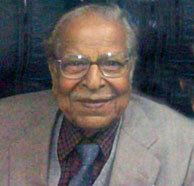 Shri Kanwar GS Chauhan launched himtimes.com when computers and online publishing of news and media content were at initial stages in India. Since 1999 himtimes.com has seen many ups and downs during it’s journey to present state. In the beginning Kanwar and his staff posted news manually by creating HTML pages and linking them from page to page. He would get press releases from various press release rooms, write articles and post it which visitor would relish and applause. It covered daily news and general information of Himachal Pradesh and it’s all major tourist places. It had a 100000+ links in its link directory and had thousand of photos in gallery. It had online guest book, emails, greeting card creation systems, information of Yoga and lifestyle, recipes, Travel & tourism and a small telephone directory. It provided information of social, economical and political areas of the state of Himachal Pradesh. The current website is a completely a new setup. As an initiative by Himtimes old co-workers, the website of himtimes.com was re-designed and lunched once again. It is also looking for volunteer news & photo reporters who could share their information with himtimes.com. For any further query one can contact us through our contact us form and send any news or article through the same form. Or you can email us directly at info at himtimes dot com.